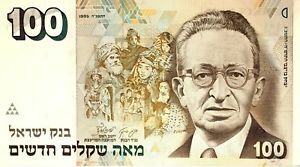 New legislation that took effect on January 1, 2019 severely restricts the use of cash for any purpose in the State of Israel. While the restrictions are to be implemented in stages, eventually no cash NIS payments for the equivalent of more than $3000 will be allowed. While the stated aim of this new law is to combat rampant tax evasion, it may also have an effect on money laundering operations. Compliance officers at international banks in the EU and US should be alert for funds coming in for clients who do not customarily engage in business with Israeli customers. In an effort to move illicit profits out of the country, money launderers may expose themselves, briefly, by engaging in transactions which can be identified as unusual, suspicious, or inconsistent with recipients' trade or business. Compliance needs to be aware of the possibility that criminal proceeds, appearing to be international trade transactions, could transit their bank in the short term. IS IT MONEY LAUNDERING OR TERRORIST FINANCING ?